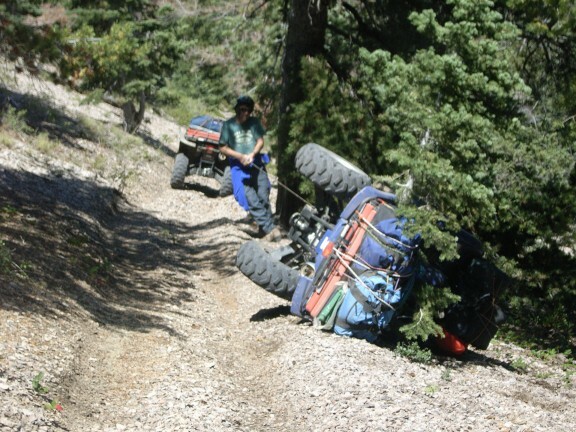 Here I am hauling out the winch cable from the Blue Grizzly so as to secure it to a tree. Didn't want it to take off when we rolled it back onto its wheels. My camo Grizzly had already made it past this point.